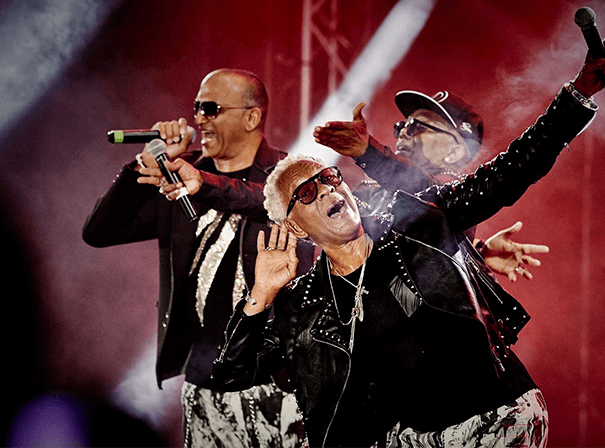 Londonbeat are the American R&B group whose chart topping pop-dance hits propelled them to instant stardom during the 1990s. Today, there is still huge demand for current members Jimmy Helms, Jimmy Chambers and Charles Pierre to play the band’s original hits including tracks like ‘There’s a Beat Going On’, ‘9AM (The Comfort Zone)’, and perhaps their best known song ‘I’ve Been Thinking About You’, which made the Number 1 slot in no less than 27 countries around the world and sold over 5 million copies. The band’s style relies on close harmonies, warm dance beats and lush melodies. After their very first album, ‘Speak’, they recorded the “In The Blood” LP that spawned ‘Thinking About You’ and ‘A Better Love’. Then came third album ‘You Bring On The Sun’ which was another Top Ten hit. After a fourth LP the original line-up split and the band went on a small hiatus before re-forming in 2003 and releasing another full-length album, ‘Back in the Hi-Life’. These days the guys are doing concerts in far-flung places like Volgograd, Russia, for 250,000 fans. Over all this time, though, their unique sound has never stood still and newer tracks like ‘Where Are U’ still embody that feel good, hugely danceable Londonbeat sound.